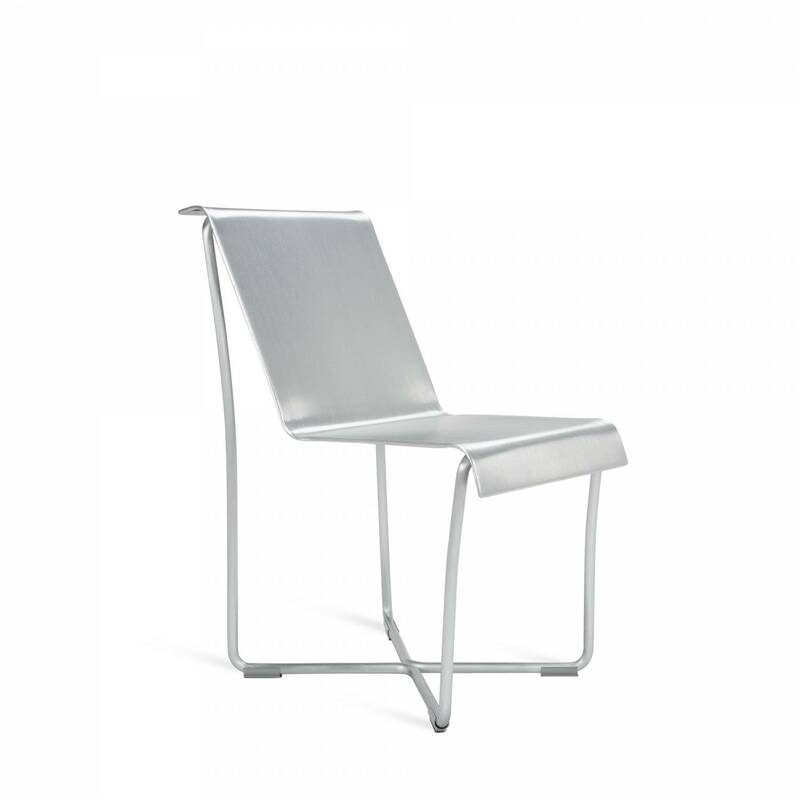 Frank Gehry and Emeco teamed up on a new kind of lightweight chair that beautifully expressed the elastic quality of aluminum at only 4.09kg. 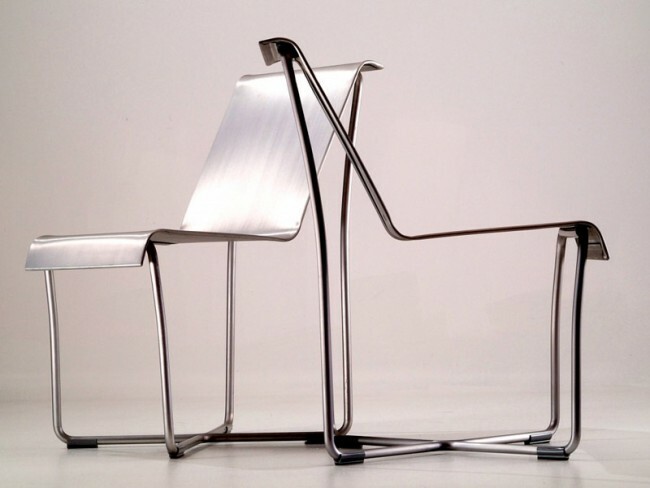 This chair conforms to the body as it gently rocks back and forth. 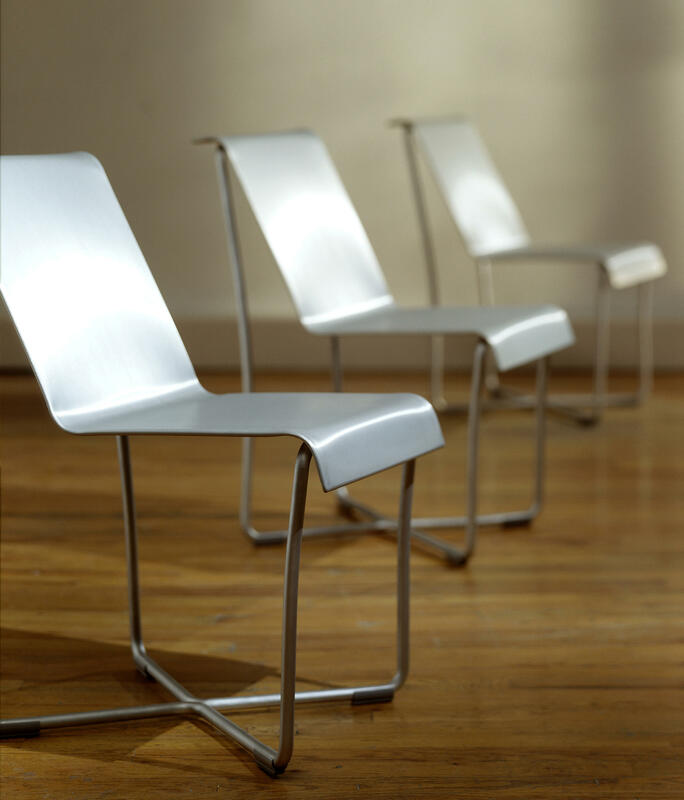 The ingenious construction features a light shell that is connected to the frame by hinge allowing energy to flow throughout the chair. 16.5" x 20.47" x 31.8" x 18" Seat H.